Nitriq Code Analysis is an easy-to-use, powerful tool for code reviews, understanding your code base, finding Types and Methods that should be refactored, creating custom metrics, and enforcing best practices. Nitriq uses the familiar LINQ query language, so you can literally begin using it in seconds rather than days. And you don't have to learn a proprietary query language! 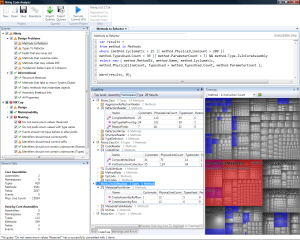 Nitriq is available in two different versions: The Pro Developer Edition and the Console Edition. 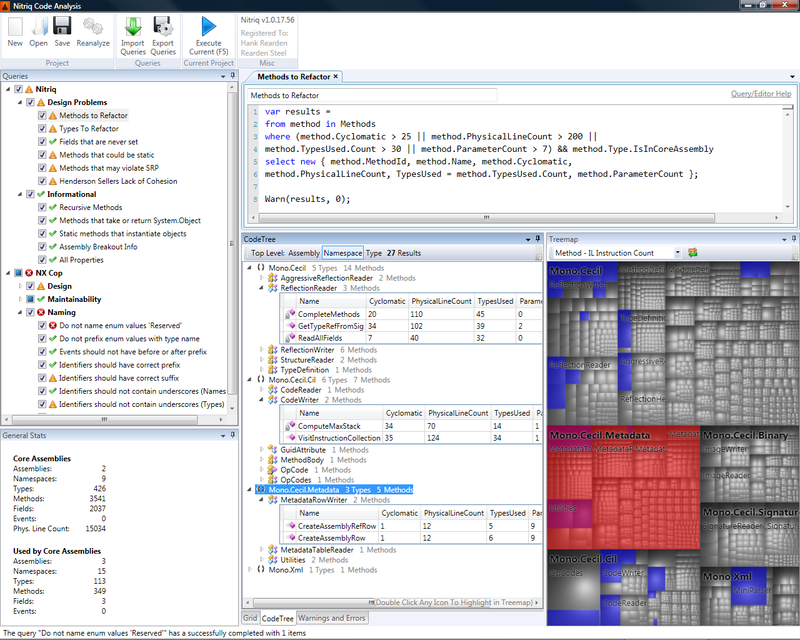 The Pro Developer Edition of Nitriq is perfect for developers to analyze an entire solution. The Console Edition of Nitriq (for use on an automated build server) will constantly monitor your code for you. Code review and analysis made powerful, flexible, and easy. Download Nitriq Now!